UNISON has welcomed the House of Lords decision to defend the right of EU migrants to remain in the UK after Brexit. Peers voted 358 to 256 in favour of an amendment to the Brexit bill during its first House of Lords reading yesterday. The amendment requires that, within three months of triggering Article 50, the government will introduce proposals to ensure that EU citizens living in this country have the same residency rights after the UK’s departure from the European Union. The vote represents the first defeat for the bill and comes just a week after a mass lobby of Parliament, organised by UNISON, the3million and New Europeans and calling on ministers to guarantee those rights. 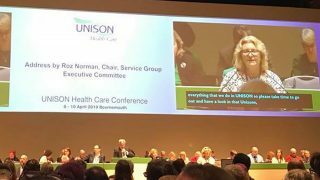 UNISON policy officer Allison Roche said: “UNISON is proud of the part it played in organising the lobby of over 2,000 EU citizens, and in encouraging MPs and Lords to sign a pledge to give EU citizens the right to remain. MPs will be able to overturn any Lords amendments when the bill returns to the Commons. And prime minister Theresa May has insisted that she will not guarantee the right to remain of the three million EU citizens in this country until she receives the same assurances for UK citizens living in the EU. 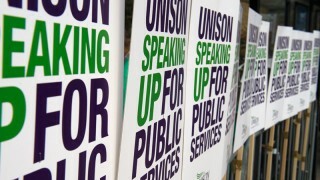 The information and resources on this page have been developed to support activities by UNISON branches and members to challenge the toxic debate around immigration.